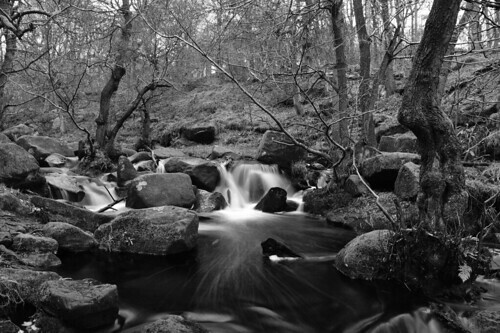 Waterfall in Black and White. Another shot of the stream at Upper Padley in the Derbyshire Peak District. Looks better on black.